Her father was of Scottish background, and her mother Irish. She was born in Paddington in London, the eldest of four children, and was from the age of three “a child whose nose it was impossible to keep out of a book” (Hamilton 3). At some point, and somewhat mysteriously, her mother disappeared from the scene. Hamilton wrote (in brackets, as if it was unimportant) “(As a matter of fact, the parting from my mother came early in life, but it was a parting whose finality was not recognised at the time)” (Hamilton, 6). She clearly left home, and later died; she may have returned to Ireland, or, it has been suggested, been committed to a mental institution: in either case it was not something that would have been talked about. It meant that for four years Cicely and her sister and two brothers were “farmed out” to a family who lived near Clapham Common, because her father was abroad. Lieutenant-Colonel Denzil Hammill commanded the first battalion of the Gordon Highlanders, and between 1881 and 1885 served in Egypt with distinction: he was on the Nile campaign which tried to rescue General Gordon in Khartoum. At Clapham Common, Cicely encountered the “stepmother mentality” at first hand, and hated it. At the age of ten she made a half-hearted attempt to drown herself, thinking that her siblings would be better off, and even thinking that if she killed herself the police would investigate and find that the children were not being well treated. I must have been very youthful—not more than six, if that—when I first rebelled against the idea that marriage was the only career for women. Some book which I picked up not only put the idea rather baldly, but put it with a jest at the expense of the unmarried woman. My ambition, at that age, being to grow up into a railway guard, I distinctly resented the idea that there was nothing for me to do but marry (279). On her father’s temporary return from Africa, the children were transferred to maiden aunts (sisters of her father), and then Hamilton went to a boarding school at Malvern. She left in around 1889, and went to a school in Bad Homburg in Germany; she was there when Bismarck took the waters in Homburg. “I find the Hitler-cult of to-day the easier of comprehension because I came in contact with the Bismarck-cult in my youth” (Hamilton 20). Her father died of malaria in Bonny in West Africa within months of Hamilton returning from her German school. The three eldest children had to earn their way: Hamilton became a teaching assistant, her sister became a nursery governess, and the eldest boy “was taken from his school and pitch-forked out to Manitoba” (Hamilton, 31). Hamilton did some writing, and some translation from German. But she wanted to get on the stage, and finally she did so. She had a career of touring the provinces in all kinds of productions that lasted ten years. And, though she resented losing her job because the manager wanted a part for his mistress (that happened twice), she did love the stage: “I have often walked away from the theatre singing to myself—singing just for happiness—because I have seen something that was really good, something that was delicate and strong” (Hamilton 44). When she turned to writing she had to write for money: “for some years, the greater part of my output took the form of contributions to cheap periodicals, many of them catering for the tastes of the young. Sensation was their keynote; stories of bandits, pirates, savages, and detectives, preferably youthful detectives” (57). She made the mistake of accepting £100 lump sum for her first play, Diana of Dobson’s, which was actually a considerable success. It was taken on by Lena Ashwell, the first of the actress-managers, for the Kingsway Theatre. Ashwell would employ Hamilton again, in 1917, for the purpose of entertaining the troops. “I was drawn into the Woman Suffrage agitation, and for several years I did a good deal of writing and speaking for the Cause,” she wrote (65). She also noted that she was generally viewed with some suspicion, because she was more of a feminist than a suffragist. “I wasn’t wildly interested in votes for anyone”; what she rebelled against was the idea that women were dependent, and destined for marriage and motherhood. She was suspicious herself of those who sought the right to vote by violence, which to her implied that voting itself was of secondary importance. Looking back from the 1930s, in Life Errant, she also recognised that Emmeline Pankhurst, was, on a smaller scale, the “forerunner of Lenin, Hitler, Mussolini—the Leader whose fiat must not be questioned, the Leader who could do no wrong!” (68). Hamilton was instrumental in founding the Women Writers Suffrage League in 1908, and later that year its sister organisation, the Actresses’ Suffrage League. Ellen Terry was among the distinguished actresses at the inaugural meeting of the ASL, and through her Hamilton got to make two of her strongest friendships: with Ellen Terry’s daughter Edy Craig and with Edy’s longterm partner, Christabel Marshall (who called herself Christopher St John). Hamilton wrote the play How the Vote was Won with St John; it was the first production in the name of the ASL, and it premiered in April 1909. Thereafter Hamilton would often go down to Smallhythe in Kent to stay in the house that Edy and Christopher shared with the painter Clare (“Tony”) Atwood. In the last years before the War, Hamilton was regarded as one of the leading speakers on the Cause. She was chosen to debate G.K. Chesterton in Queen’s Hall; her article “Man”, which attacked the patriarchal system, was published in The English Review; her play Just to Get Married (a dramatisation of her Marriage as a Trade) played in London, the English provinces, and New York; at Edy Craig’s instigation she wrote A Pageant of Great Women, which was produced across the country; and she herself was called on to act in a long-running play on the West End, George Bernard Shaw’s Fanny’s First Play. Perhaps the best we can hope for is that it will work off its combative energies—as Mussolini’s Black Shirts have so far worked them off—in drilling, reviewing and manoeuvring, and occasional demonstrations of fist-shaking! … And that having so let off its useful steam, it will tread with us the paths of peace! (Modern Germanies, 1933 edition, 269). When the Second World War broke out, she joined the Chelsea Fire Service, and took her turn fire-watching, even taking an active role in helping to put out the blaze after a large number of incendiary bombs fell on Chelsea on the night of 16/17 April 1941. From 1945 until 1952 she edited the press bulletin of the British League for European Freedom. She died, after a long illness, at her Chelsea home, on 5 December 1952. My main source is Cicely Hamilton’s autobiography, Life Errant (London: J.M. 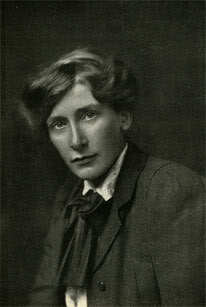 Dent, 1935), supplemented by Lis Whitelaw’s The Life and Rebellious Times of Cicely Hamilton: Actress, Writer, Suffragist (London: The Women’s Press, 1990). The Oxford Dictionary of National Biography‘s entry is by Maroula Joannou.